Product code: T929 Categories: Antique, Antique Rings. Perfect for any finger, this 18ct gold antique ruby and pearl ring made in 1885 looks as beautiful today as when it was made over a century ago. Sitting so elegantly in the centre is a lovely natural ruby that is both surrounded and highlighted by eight seed pearls in a lovely square cluster design. And then down each side there are three more pearls on each side that are set into the band making this such an attractive example of a Victorian ring. Measuring 7.1mm wide at the centre by 18.8mm from one end pearl across to the other, this is a beautiful antique ring that will always be admired. 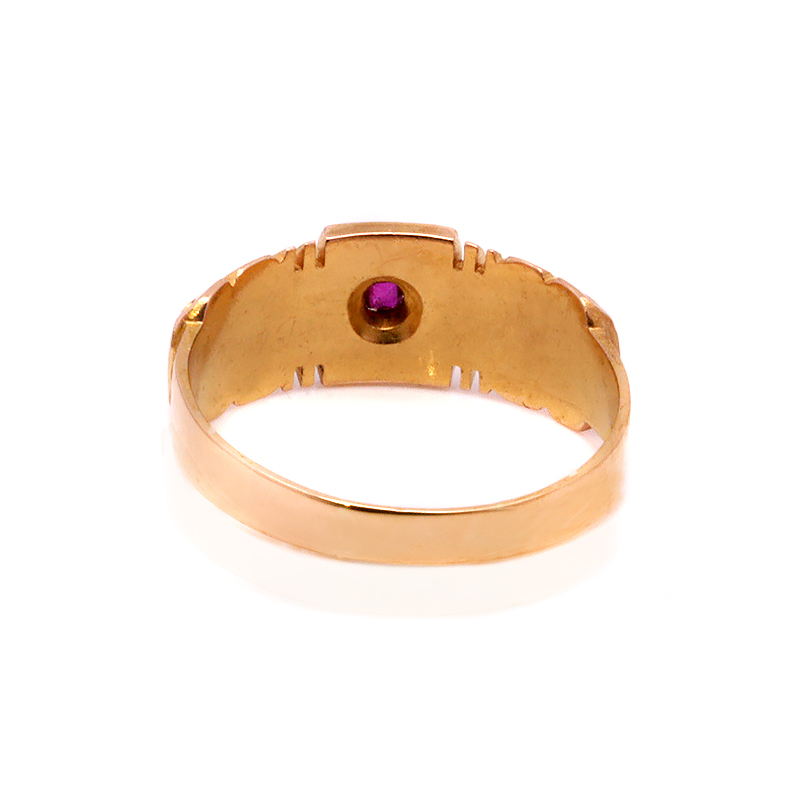 Tag: Antique ruby and pearl ring.